Each year, as the Tour de France screams across this fair land, it gives the folks from the far away lands a glimpse(however fleeting and incomplete) of the Treasures of France. This, to me, is one of the great and positive “side effects” of this “sporting event”, which is, in reality a great business event – as I explained in THIS POST. “Known to make full grown men weep like a baby, Champagne has long been heralded the most precious discovery in all the world’s wine. As with all things brilliant when it comes to wine, we can thank the monks for bubbles. They invented these beads of beauty back in 1531 down near the Languedoc (sorry Dom Perignon—you may have been the Benedictine monk who improved Champagne, but it was your comrades who invented the concept). They discovered that once you made a still wine, you could add a little more sugar and yeast (referred to as the ‘licor de tirajo’), bottle it back up and promote a second fermentation process. At Little’s, we take it one step further with most of our Champagne— we dismiss the mass-produced negociant juice, which speaks to about 80% of the production. We opt instead for farmer fizz. Why is this so important? When you are spending over $40 on a bottle of wine, we want to ensure you are getting a product that has a name behind the label. No effort so strenuous as producing Champagne should go unrecognized. Not only that, you get more for your money! Most of ours are classified Grand Cru or at the very least Premier Cru—denoting the best vineyards in all of Champagne. Even Dom at $150 doesn’t wear that honor on its bodice! Some favorites: Marc Hebrart ($52), Aubry ($40), Paul Dethune ($50), Varnier ($65), 2002 Gaston Chiquet ($72—half the price of vintage Dom Perignon! ), and Chartogne-Taillet ($42). Alsace. A region that once was Germany…then France…then Germany…then France…and so on. For several decades now, it has fallen into the hands of the French, but its history is an inescapable characteristic of this region’s wine and culture. These flute-shaped bottles (much like German Rieslings), wear its varietal name like a badge, as opposed to most of its French neighbors who go by blends & regions to describe what lies behind theglass. Here, they focus on: Riesling, Pinot Blanc, Pinot Gris, Muscat and even Gewurztraminer. Sure, they make some reds, but here white wine is the noble ageworthy grape. A region that wins the obscurity contest based solely on the fact that these wines are so damn hard to find, expensive, and honestly not very researched at this point. The same voice for the Savoie—Wink Lorch—has become the voice for the Jura as well. Although the smallest region at 1500 hectares, it is also one of the more complicated. But let’s take a crack at it. Only 80 k east of Burgundy, it is closest in soils and style as you will ever get. What we have to offer at Little’s is one of the reds from this mysterious region, a Pinot Noir: 2009 Chateau d’Arlay ($22). People joke that the reds here are so light in color that they are often mistaken for roses. Likewise the whites are so dark they are considered amber. Pinot, funny enough, are among the darkest compared to Trosseau and the even lighter Poulsard. Grown on soil remarkably similar to Burgundy, they are a hop, skip and a jump from being mistaken time and again. The delicate, tile-colored reds are high in acid and perfect with alpine cuisine—sausages, rustic casseroles and cheese. A recovery from the mountains and a rest day to boot, the race will press on through the southern section of the greatest wines on earth (fine, tied with Champagne, Bordeaux and Piedmont—-fair? ): Burgundy. Thankfully, a little parcel of peat isn’t as expensive as those from the more northerly Cote d’Or. That parcel is the Maconnais. Here, excepting Beaujolais, you are in the warmest pocket that is famous for its richer, fuller, more modern style Chardonnays. For many, this is their first taste of Burgundy. Remarkably different in character from California Chardonnay, you really should give it a try regardless of your biases towards this popular varietal. And if you love Cali Chard, see what you think about these oft un-oaked beauties. While many are intended for early consumption, one little section is head and shoulders above the rest: Pouilly-Fuisse. At Little’s, you may try both. We have a range of general Macon Chardonnays, such as the Cave de Buxy ($15), Cave des Grands Saint Veran ($15) and the ever so delightful Domaine Jean Touzot Macon-Villages ($16). You can also take it up a notch and grab the Domaine de la Collogne Gilles Noblet Pouilly Fuisse— we have the half bottle at $16 or the full size 750 ml at $26. Back in the mountains we go, welcoming the crisp whites of summer that come along with it! To really appreciate the wines of Savoie, one must close their eyes and visualize the setting. High in the Alpine Mountains, where vineyards climb up either side of the valley, is a wine region that produces wines that taste of place. Crisp, minerally whites and the perky bitter edge of peppery red Mondeuse characterize the wines of Savoie. A French friend once recounted every winter when he and his buddies would pop up to Savoie for world class skiing, throw some Apremont in the snow by the hot tub and enjoy just after coming off the runs. It is the quintessential fondue wine, yes… but so much more. These are pristine, light, reflections of terroir in their finest light. Stretching from Lac Leman in Haute Savoie to the Isere Valley and Chambery , 1800 hectares comprises the Savoie growing region. The best vineyards are steeply terraced and south facing, much like Burgundy’s Cote d’Or or Alsace. ‘Vin de Savoie’ can come from all over the region technically. We have several, from light reds of Mondeuse, crisp Apremonts, and Jacquere from Chinian. They are no more than $15, making it an ideal summer go-to quaffer! To be fair, the Tour will mostly be in the northern section this time around, but we are letting it slide, so you can taste the vast difference between the steeply sloped Syrah-loving north and Grenache-glutton south. Driving along the rather short stretch of land which marks the northern Rhone a mere 50 k north of the southern Rhone, you wouldn’t know they were related by name. In fact, one writer noted that all they have in common is a river. And that’s true. You will know you are in the north when suddenly very steep hills emerge from the ground near the river. Vineyards will be terraced all about, making it easy to figure out cardinal directions, for here, only the prominent vineyards of quality are planted on the northern slopes facing south. It is much harsher and cooler here than in the southern Rhone. They sip on the sun, just as we would water in the desert. The best vineyards also seek shelter from the Mistral as we would a tornado in the Midwest. Here, productions are small but treasured, for this region produces some of the most haunting, ageworthy Syrahs you will ever taste. Pressing on to the South, the most memorable landmark—Mount Ventoux—is home to many a Tour de France stages over the years. A region that is felt, the southern Rhone has a penetrating smell that reflects the garrigue and herbs that characterize its environment. The Mistral is the single-most influential and challenging feature of the Rhone. It is typically going about 50k per hour during the day, sometimes reaching 90k/hr. At night it calms down. As a result, vines are often bush-trained low to the ground. Comes down the Alps and funnels through the Rhone Valley. It can also occur when pressure is high in the Atlantic and low in the Gulf of Genoa. However, in the summer it is merely due to the thermal depression in Provence. 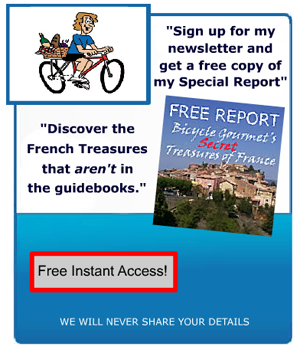 Keep this in mind the next time the boys in spandex ride their way through this gorgeous, and challenging piece of France! It is always appropriate to start at the beginning. For the Languedoc, it just may be the little ancient ‘Piquepoul’ varietal, a white grape that was noted for its prevalence in the early 1600’s by botanist JB Maniol. Though by no means an ‘intellectual wine’ to dwell upon, it has a distinct translation of place: the dry warm climate upon rolling hills of limestone amongst perfumed pine groves and a cool necessary breeze coming off the Mediterranean—a breeze that moderates the heat allowing crisp acid to develop. An enticing terroir alternates between a limestone laden garrigue covered scrubland as well as ancient rock. An interesting fact to dwell upon, this region is bisected by the Via Domitia, a road that links Spain with ancient Rome. North of this route are the famous limestone soils amidst garrigue and pine. South speaking to the gravelly plain in the Mediterranean’s Thau Basin. Here in the basin, cuisine is reflective of its perfect source for shellfish (the natural accompaniment to this lively, bright white!). Inside the bottle, the Picpoul comes off fresh and vibrant. The color is almost green-yellow in the glass. This wine radiates with citrus fruit and racy acidity. Translation: excellent food pairing, especially with shellfish and goat cheese. There is also a slight glycerol, round note, too, though that provides the wine the balance it needs to entertain a variety of palates—a trait which really speaks to its popularity in the store. We have two to choose from here at Little’s. One has been here for eternity, and is honestly our best-seller of all time: HB Caves de Pomerols Picpoul de Pinet ($12). If you want to give another guy a try, we recommend the La Domitienne—our newest addition at only $13. Who knows? It may become your new favorite! Still hanging around the massive Languedoc region, you will find yourself in the historic regions of Limoux—officially home to the first version of Champagne method ever created in 1541. Limoux, a wondrously pretty green valley, sits in the eastern foothills of the Pyrenees, west of the Corbieres hills. Winds prevail from the collision of Atlantic and Mediterranean influence, giving it slightly more maritime characteristics than the rest of the Languedoc. This area boasts distinct terroir through its rocky terrain of clay, limestone and sand. The unique climate allows for a slow, even ripening season. It was the first sparkling in France, the first AOC in the Languedoc. Due to their fortunate proximity to the Cork Oak forest the south in Cataluna, it is thought that they were able to get the materials need for flasks allowing for secondary fermentation. Traditionally, Mauzac (rustic, homey and reminiscent of apple peels and cider) was used as the base grape, but now many are finding that other grapes yield more complex bubbles. Though famous for their bubbles, they are increasingly becoming well known for some of the most complex Chardonnays in all of France, so watch out Burgundy! Pinot. It is a tete de cuvee. It wears bright apple and lemon on the nose, but it also loaded with layers of spice and mystery… They have been around for over 80 years trying to get it right. A region that never gets overlooked for the great Tour, nesteld as it is in the massive Pyrenees mountain range, Gascony, as it is sometimes called, offers up on a platter some of France’s most obscure and fascinating wines! Whether the deeply colored Tannats from Madiran or the softly spoken whites of Jurancon and the general region of Gascogne itself, this alpine region boasts much more than merely cheese and foie gras (though those are beyond noteworthy!). This is a great idea….and your “fellow scribbler” sure knows her stuff. agree paul…..even though she’s promoting “littles” in every other paragraph! yeah martel….i caught that too…..can only be a Wine Store…yeah? i agree with one of your other readers comments regarding the constant pitches for “little’s” in this post. even with the excellent infomration provided, it is more than a ltitle off-putting for me. This is a real french wine primer! many thanks! this is a very enjoyable way to get a wine education! great information, well presented. too bad about all the pitches for “little’s” tho. oh well! great to know there is a way to tour france without(necessarily) a bicycle! right on garth! – the word is excessive! alice and garth……how this slipped by the ever alert BG….i can’t imagine. callie – could it be DA BG is….(gasp)…human? 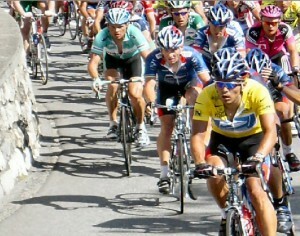 This type of tour is my idea of a great sporting event! very information post. have made many notes on new wines to try. thanks much! i have been doing a small scale version of this for some years now. but thanks to your article, i have made many new discoveries! this is a very welcome post. in the future i would appreciate knowning more about the reasons behind the other appellation ddesignations eyond AOC. ie – IGP, OGP, etc. i may be wrong..but i get the impression this is just a legal boondoogle to get around AOC and confuse the consumer. i think you’re right martin….for instance – OGP – “origin geographic protege” – ok…so the region is protected. from what? and how? and more to the point – what effect (if any) does this have on the wine from this “protected” region.